In November 2016, I started an eight-week placement with Black & White Publishing in Edinburgh, for one day per week. Black & White publish a range of different genres, such as non-fiction, adult fiction, children’s books and young adult fiction. They have a few imprints, including Itchy Coo (Scots language imprint), Broons Books and a new YA imprint, Ink Road. Their diverse list is one of the main reasons that made me want to do a placement with them. 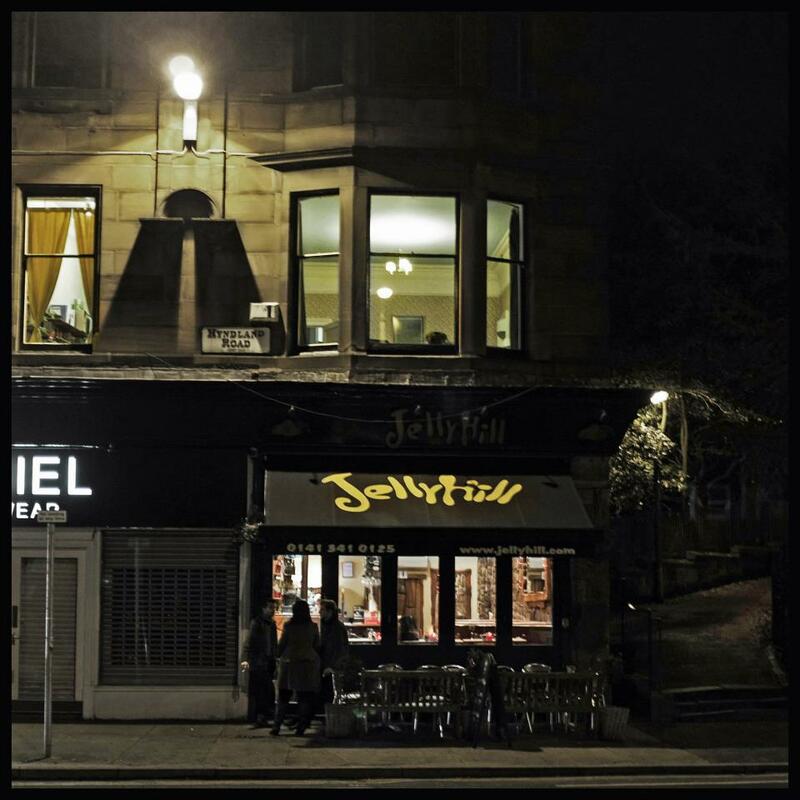 Situated down by the Shore in Leith, neighboured by lots of cute cafes, shops and bars, Black & White’s office is in the ideal location for an independent publishing house. Upon entering the office, I immediately fell in love with its peaceful atmosphere, surrounded by endless shelves and stacks of books. It felt far more homely than I had imagined a publishing house to be and this was enhanced by the fact it was made up of such a small, friendly team (including an office dog!). I was welcomed by Daiden, Sales Account Manager, who introduced me to the other staff in the office and handed me a summary of potential intern tasks to familiarise myself with. These were split into different job roles: editorial/production, publicity, events, marketing, digital, rights and miscellaneous. I found this very helpful, as it allowed me to connect the tasks I was completing with their relative areas of the publishing workflow. During my placement, I completed a variety of stimulating tasks across the different departments. 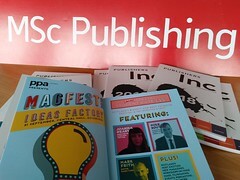 These included reading and logging submissions, sending rejection emails (editorial); researching and contacting potential reviewers and bloggers, creating press releases (publicity); creating events and show cards for book launches (events); drafting marketing plans for specific titles (marketing); writing copy for the website and composing scheduled tweets (digital). A highlight for me was getting to sit in on a company meeting, which involved deciding upon a logo for new YA imprint, Ink Road. This was really exciting and I felt privileged to be asked for my opinion on such an important decision. I found it interesting to see how a small company operates, as the departments overlap a great deal and everyone works together as a team. 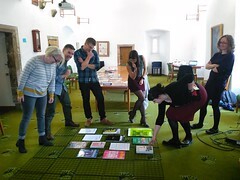 Undertaking projects in the various departments allowed me to develop a range of adaptable industry-focused skills and helped me discover that I’d like to pursue a career in publicity or marketing – something I hadn’t previously considered. I’m very grateful to Black & White for giving me such an enjoyable and valuable experience! The company Seamanship International was founded as a training software provider but following the market demand, merged with Witherby in 2008 to introduce books to their portfolio. 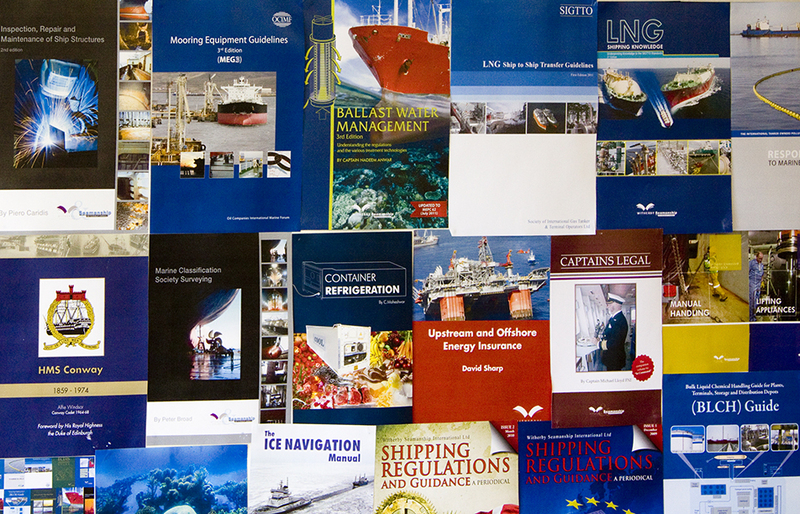 The company now publishes books and e-books for the shipping, insurance and energy sectors. Witherby Publishing Group claims to be a small specialist publisher. After ten busy days working with them over the last 6 weeks I now must either revise the definition of a small publisher or assume they are too modest. The company that welcomed me onboard is in fact a niche global market publisher. They have their own sales platforms, and an e-reader designed in-house 10 years ago that is now a renowned standard tool for the maritime industry worldwide. They publish for many international bodies such as IMO – the United Nations International Maritime Organization, and many more institutions hidden behind now familiar to me acronyms such as SIGTTO and OCIMF. Thanks to the reputation gained over the years, the company is now the leader in their field. 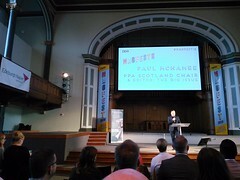 What’s more, they are a fantastic place to work and this year Witherby Publishing Group has won award as one of the Best Workplaces in Scotland. The most valuable lesson for me was to see what factors make a company successful. It was impressing to discover how proactive the company is, and the flexibility that it responds with to the market and resellers needs. 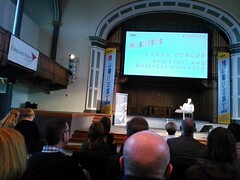 It was an excellent opportunity in terms of industry insight and experience I gained. To find out more about Witherbys, please visit their website and follow them on Facebook, Twitter and LinkedIn. Often, one of the bigger worry of an intern is to just end up making coffee. At Vagabond Voices, a small publishing house based in Glasgow, the situation is exactly the opposite: Allan Cameron, director and founder, but also writer and translator, is always ready to welcome the staff with an excellent Italian coffee. His passion for Italy is also reflected in exciting conversations that we had in the sweet Lingua del Sì. But life at Vagabond Voices is not only inspiring dialogues sipping hot beverages, it is also hard work and the opportunity to achieve outstanding skills. Vagabond Voices’ publications are focused on original books in English, translated novels from Europe and polemical and passionate works. The company has entered the digital revolution, publishing both the backlist and the new titles in the e-book version, and the main task of my placement was to manage the conversions, creating the electronic releases. Before starting to work with Vagabond Voices, my knowledge of the digital formats was relatively vague, but thanks to this great chance now I can use HTML code, write a CSS style sheet and add metadata. These words may be unknown to most people, but they represent the heart of an e-book and improve the reading experience. I also had the occasion to learn some translation basics, writing a Readers Report of an Italian book and then discussing the issues regarding the adaptation in English. Those skills are very valuable in the current marketplace, and working at Vagabond Voices allowed me to broaden my knowledge of two fascinating sectors: e-publications and translations. To be up-to-date with new releases and events, follow Vagabond Voices at http://www.vagabondvoices.co.uk, Facebook and Twitter. 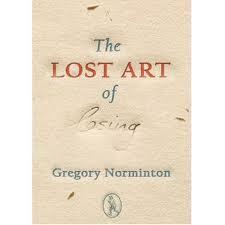 During my placement with Vagabond Voices, I had the fortune of attending two of their launches: Allan Massie’s Surviving (to conclude a memorable first day) and The Lost Art of Losing by Gregory Norminton, the second book of aphorisms to be published by Vagabond Voices. After the latter event, I approached Gregory to ask about the unusual form of the aphorism, and why we haven’t seen more of them in print, to which he replied, “I suppose the perception that no one would purchase a book of aphorisms is the main reason we don’t see more in print.” Among those who had arrived to pick up a copy of Gregory’s “little book” were Alasdair Gray, Bernard MacLaverty, and another of Vagabond Voices’ writers, Chris Dolan. When asked about his experiences with Vagabond Voices, Gregory lauded the creative support and personal touch which developed through working with a small publisher, and described the benefits of the intimate author-publisher collaboration which could be achieved in this setting: “Working with a small publisher, specifically Vagabond Voices, I find an attention to detail, a care and a commitment to each book, which can be missing from bigger publishing houses. The former has to nurture, within its limited means, every hatchling” – a statement with which, as an intern of Vagabond Voices, I can readily identify. Toleration should not be confused with respect. Of course you are entitled to your opinion – as am I to treat it with contempt. Fearless” is an epithet which bigots apply to themselves. An open mind grapples constantly with dread.